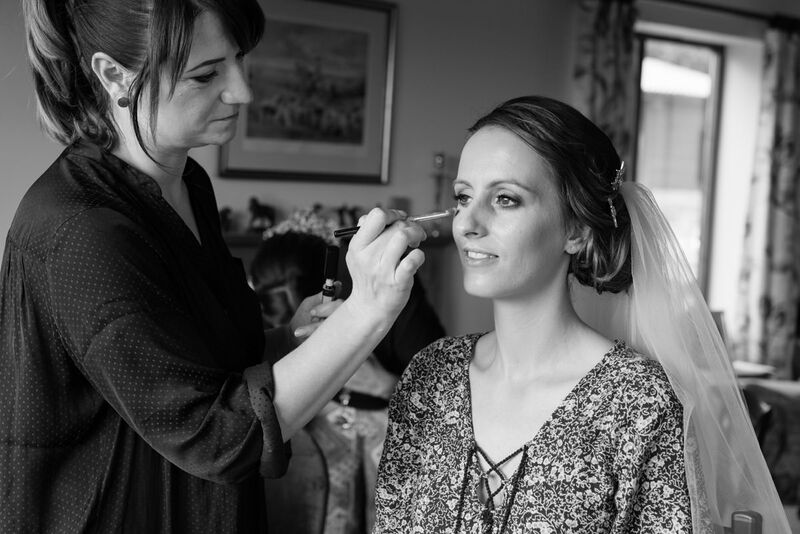 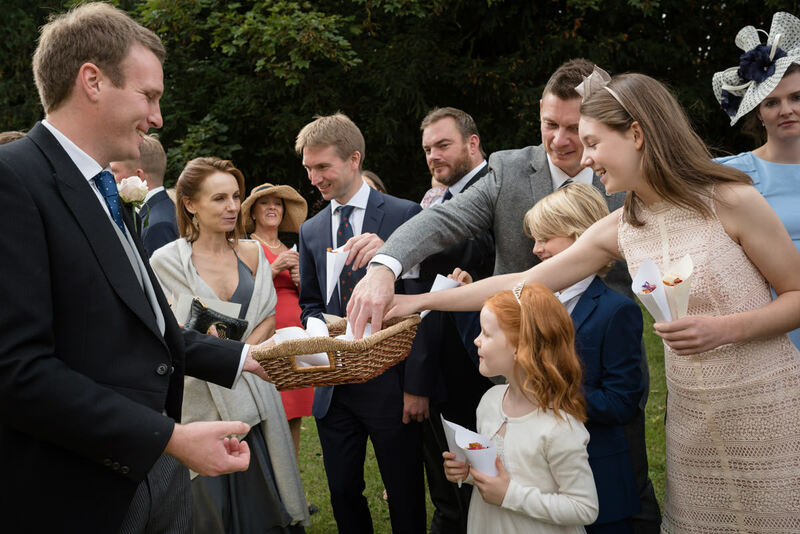 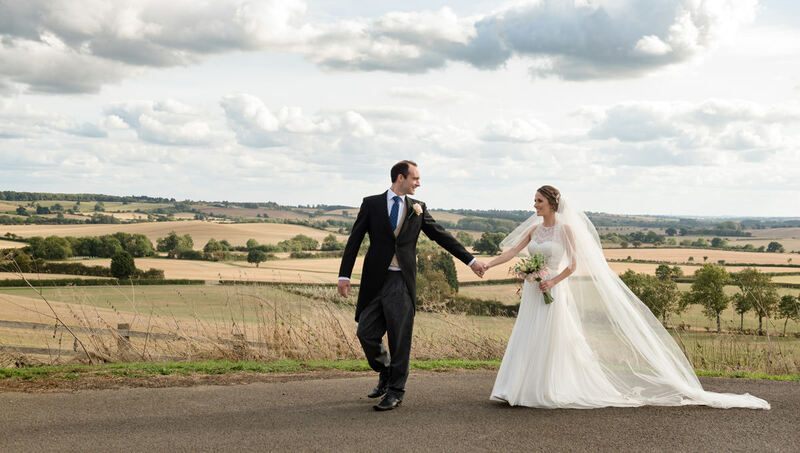 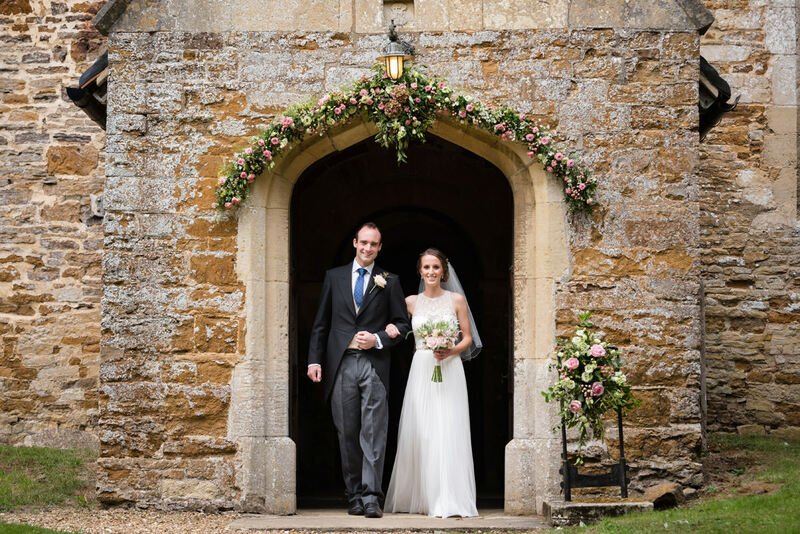 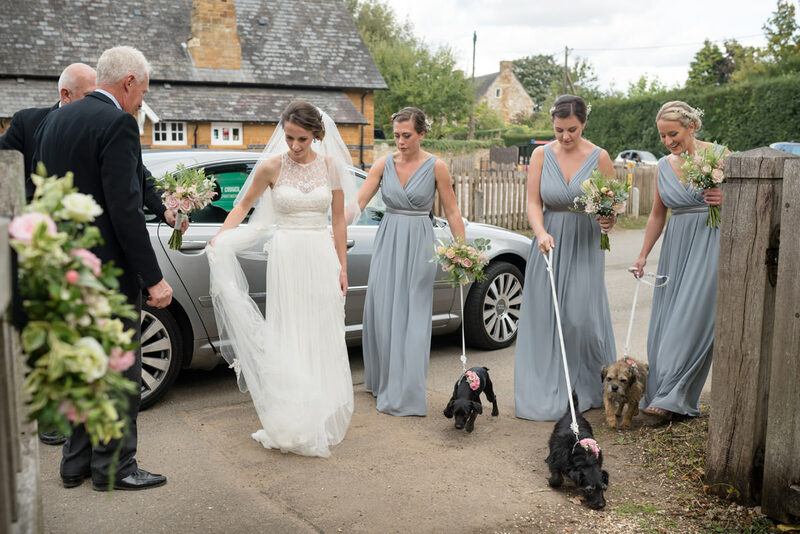 Hannah & Chippy planned an elegant wedding with everything taking place in the village of Maidwell in Northamptonshire where Hannah grew up. 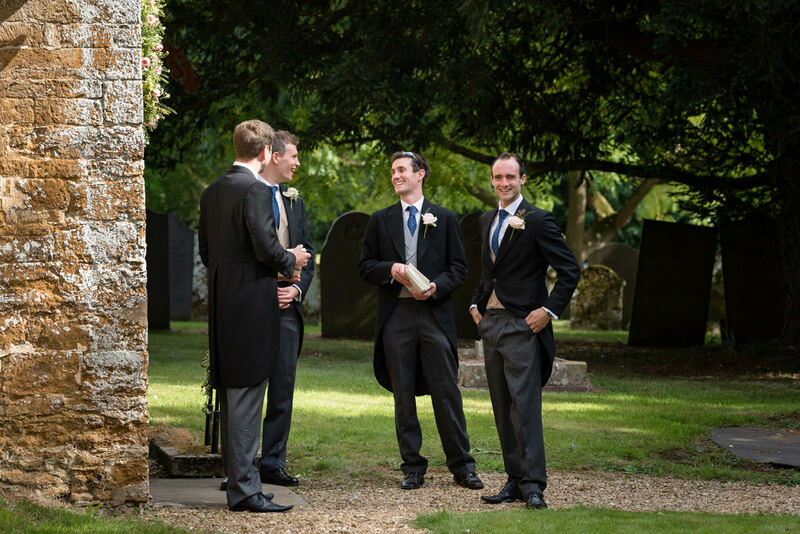 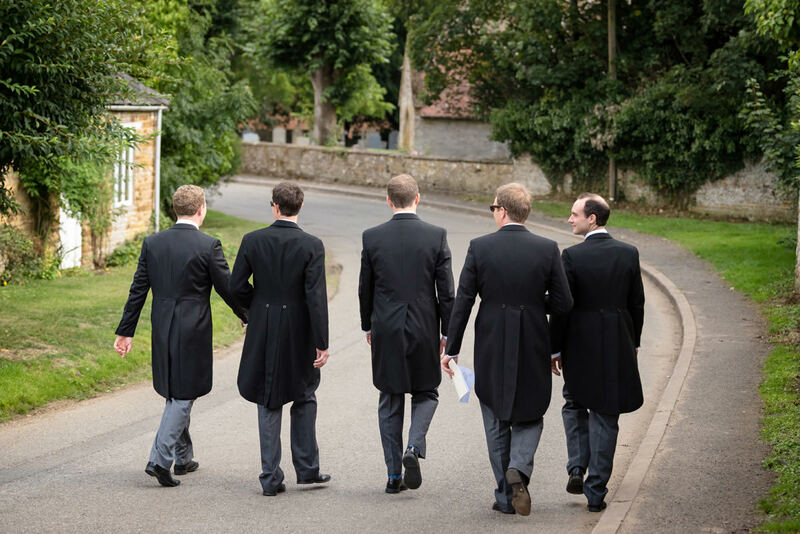 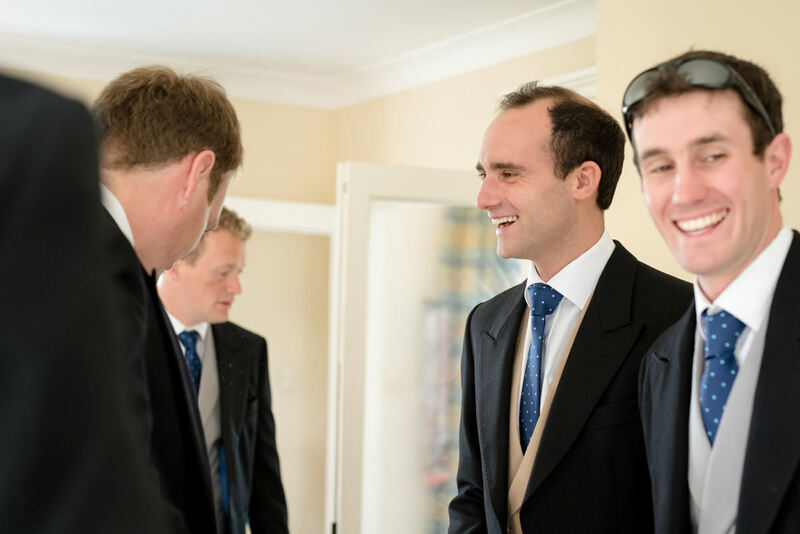 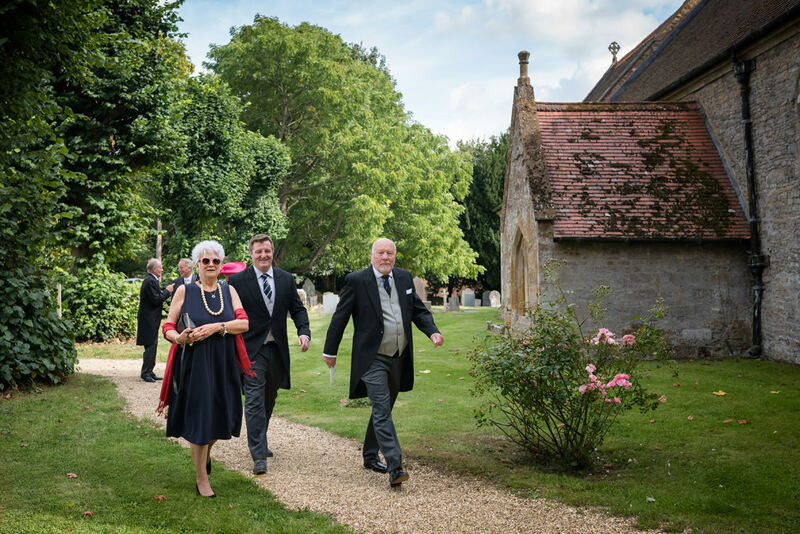 A village wedding is always fun to capture; there’s something quite intimate about it with the Groomsmen walking to church and the villagers popping along to the church to get a glimpse of the bride and groom! 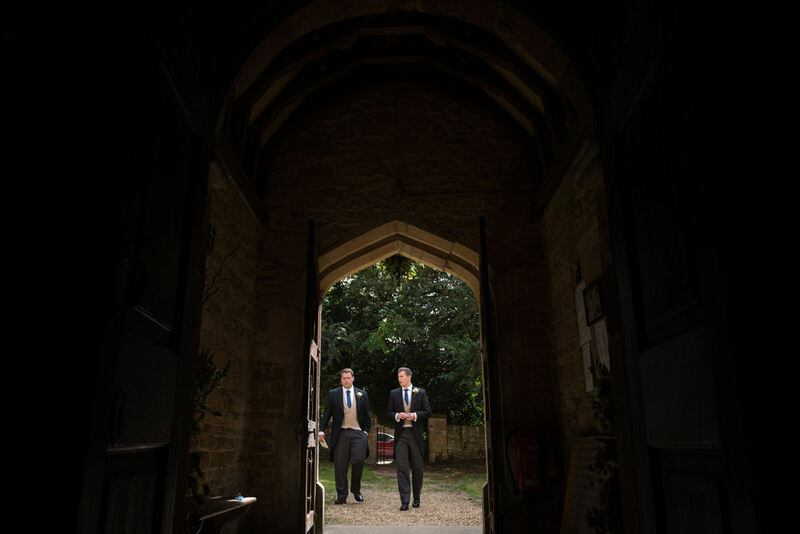 It makes a great atmosphere! 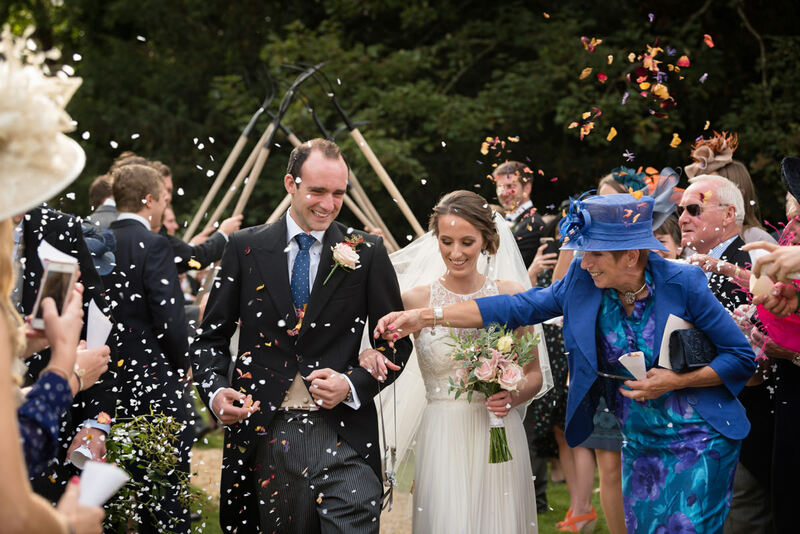 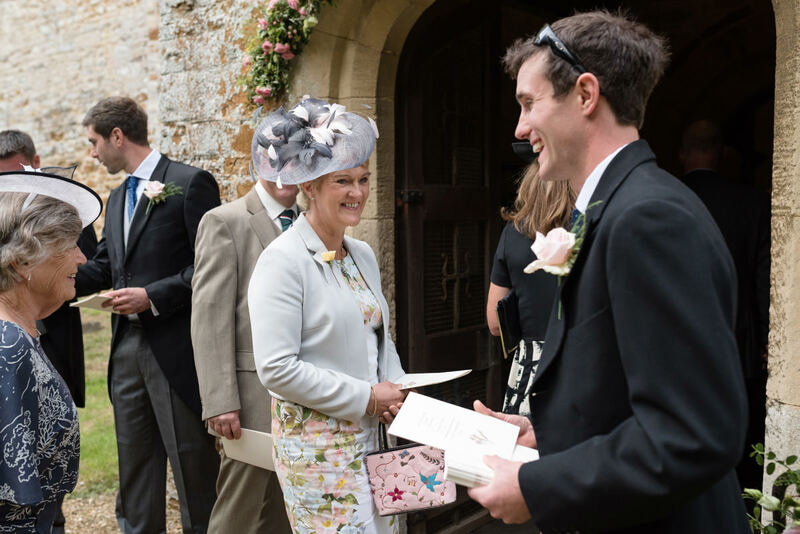 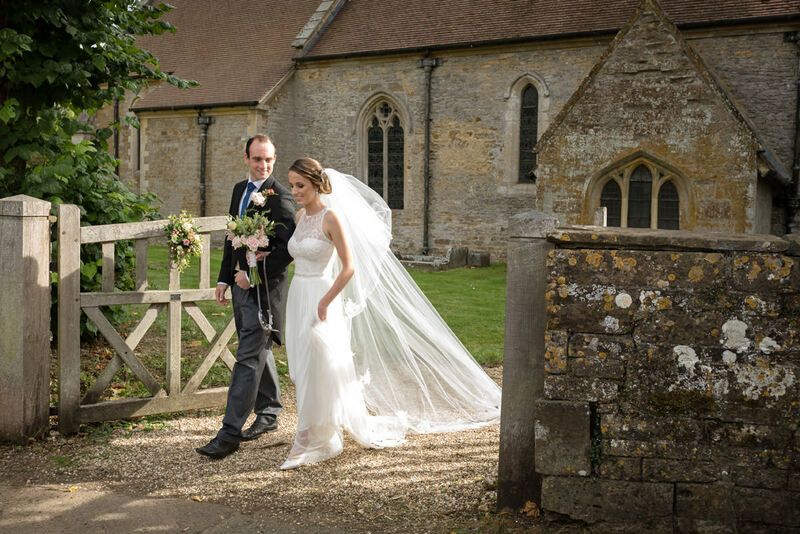 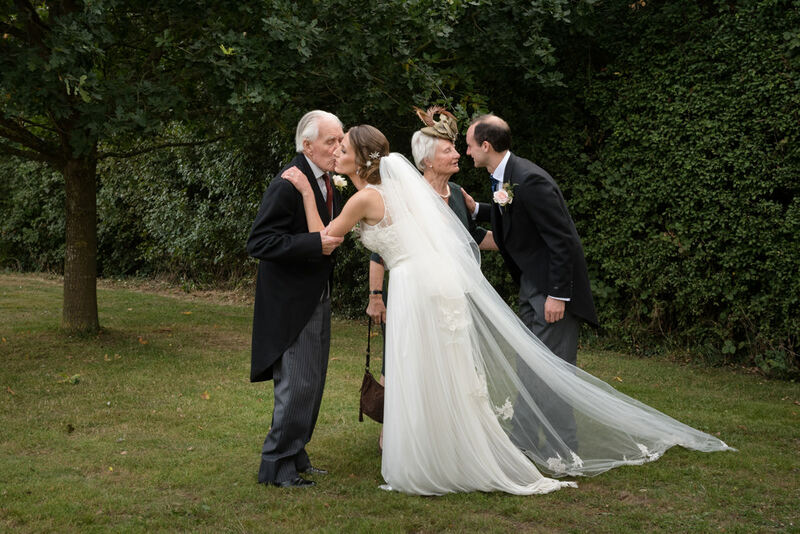 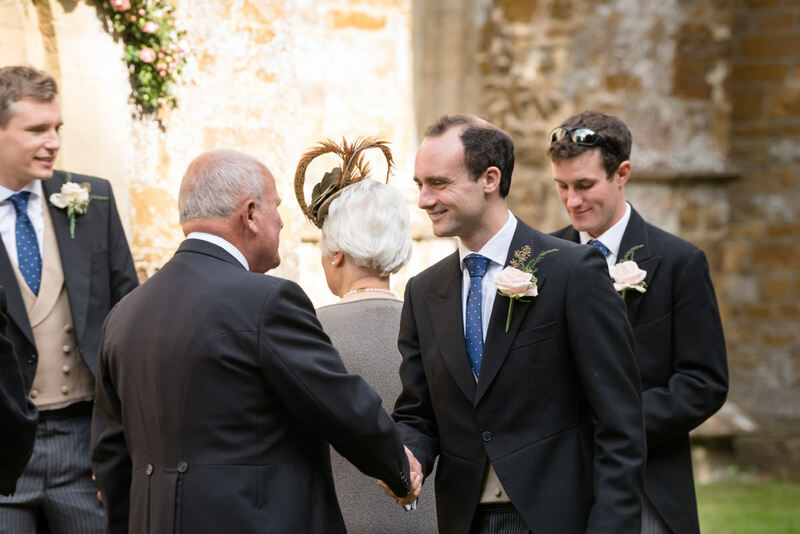 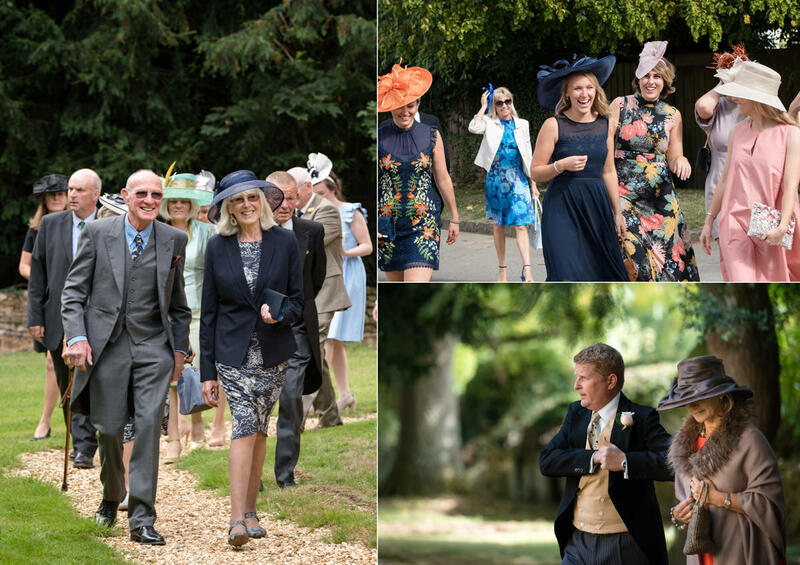 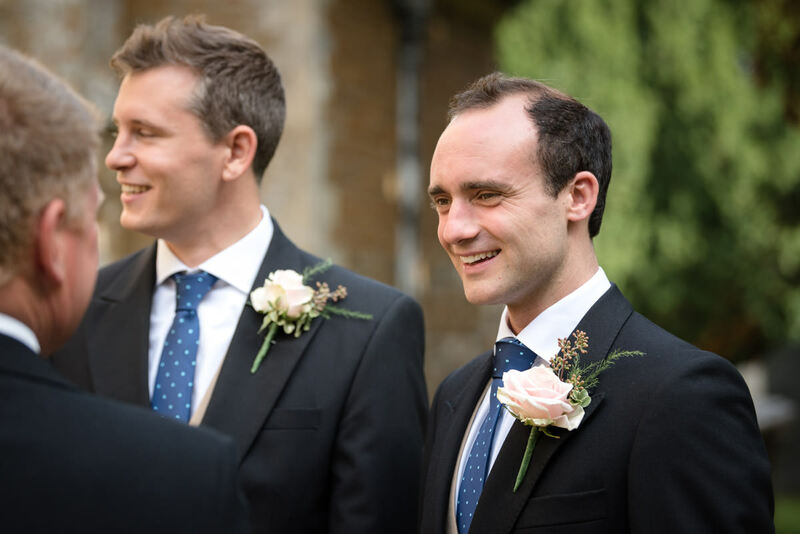 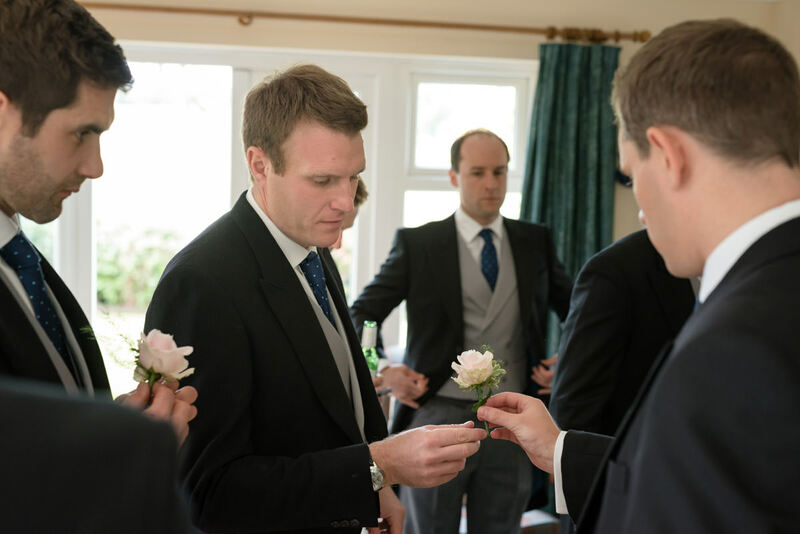 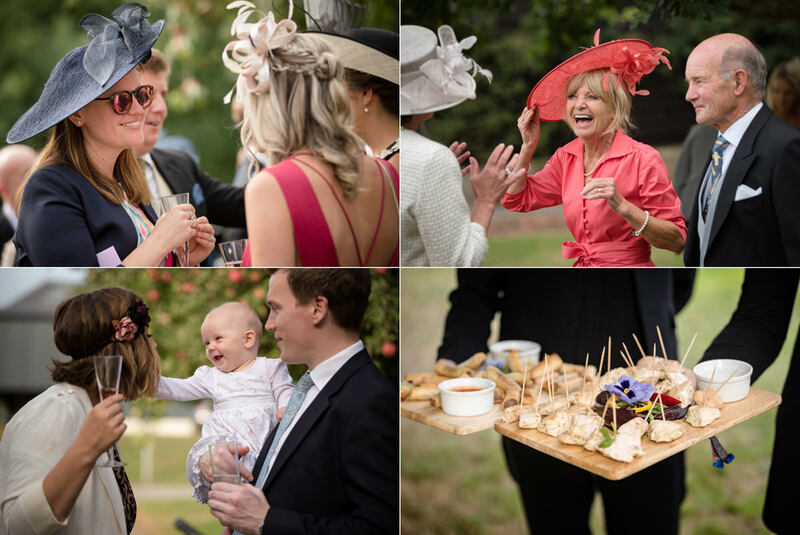 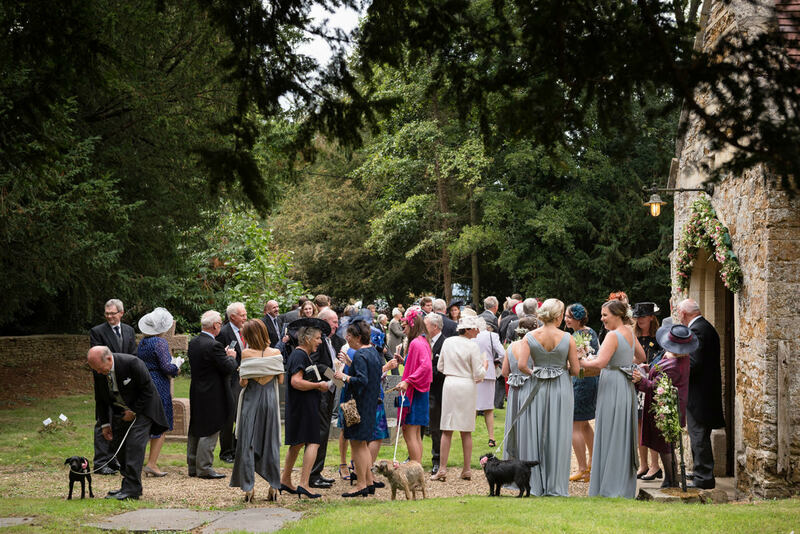 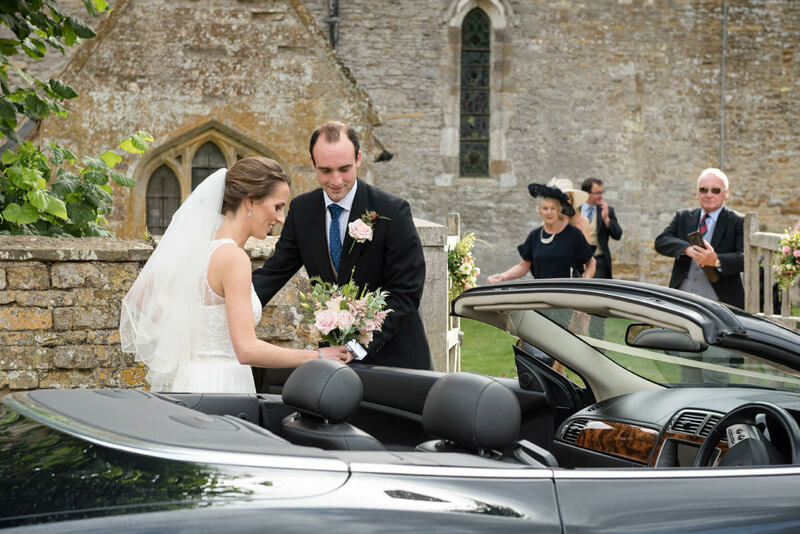 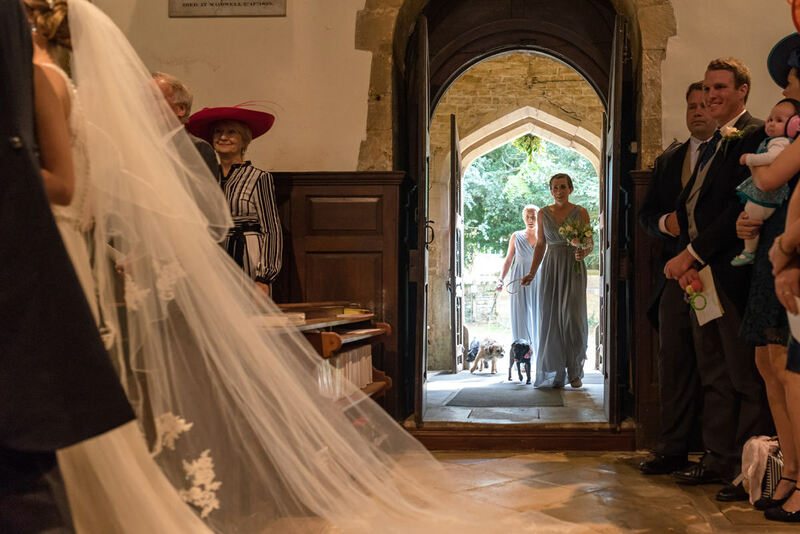 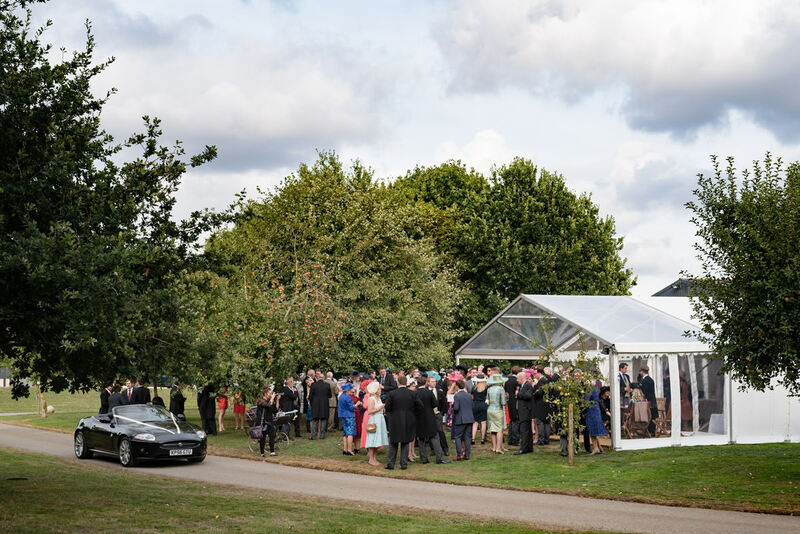 The ceremony took place at St. Mary’s church in Maidwell (sadly no photography allowed of that) and the reception was held at Hannah’s parents’ farm with an outdoor drinks reception in the autumn sunshine amongst the apple trees. 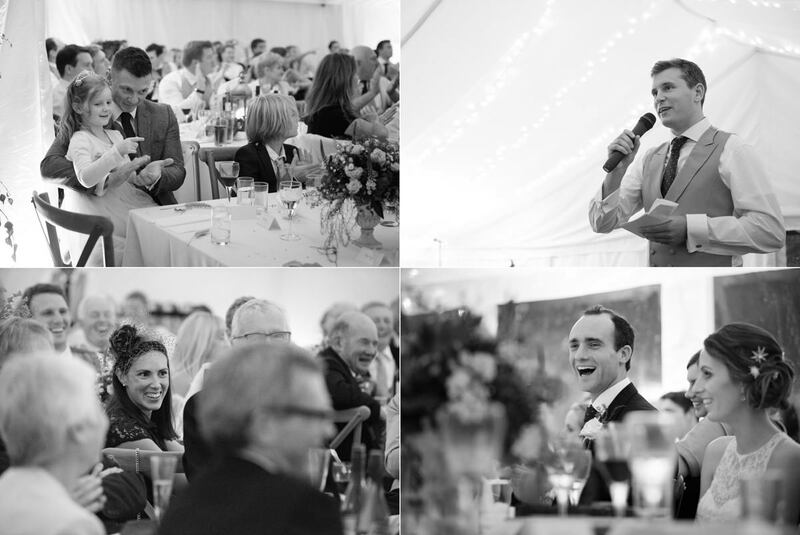 That was followed by dinner, speeches and dancing in a marquee. 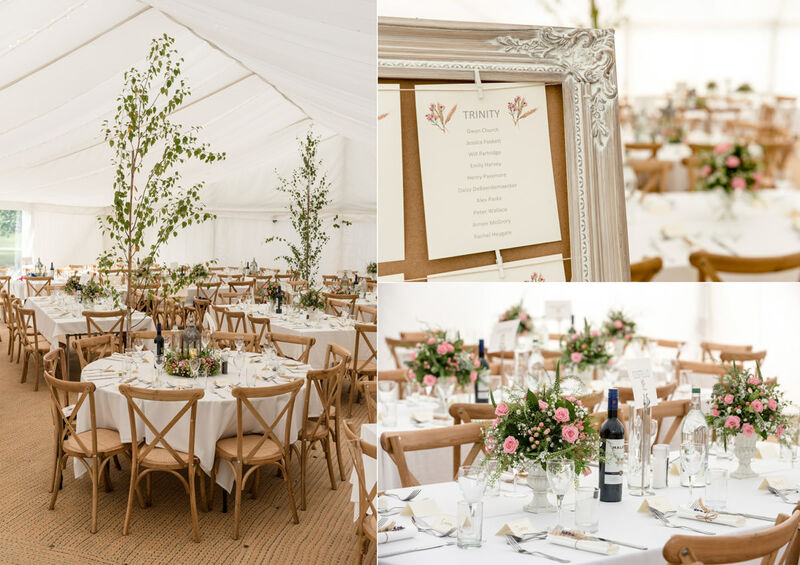 The rustic chic inspired decor for the marquee came from the farm location with real trees (planted in the garden after the wedding, great idea!) 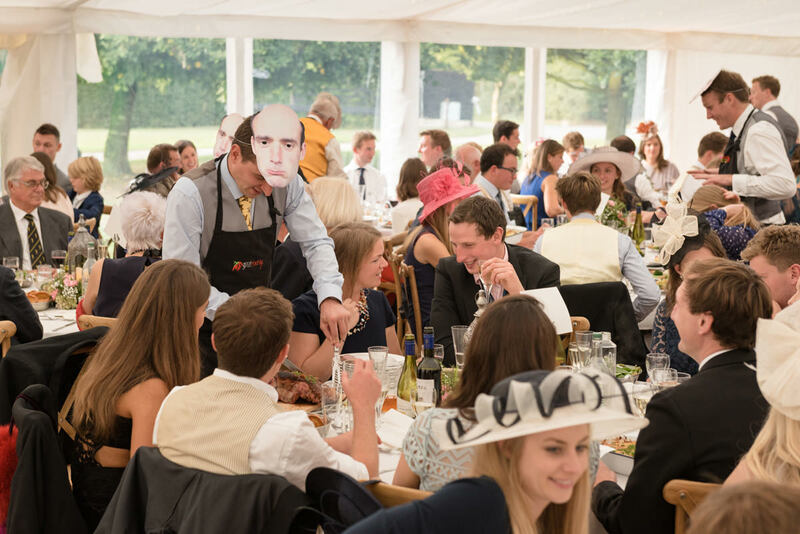 and lots of corn. 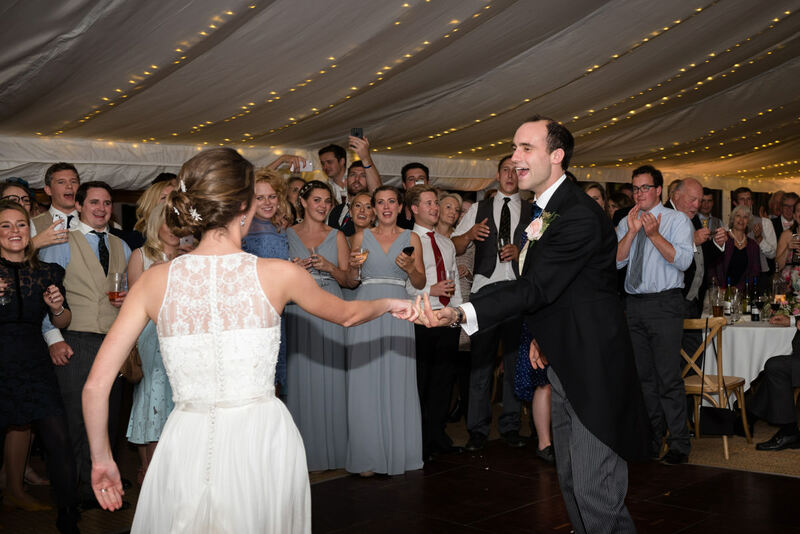 There were lots of traditional elements like a church ceremony, speeches, cake cutting and first dance. 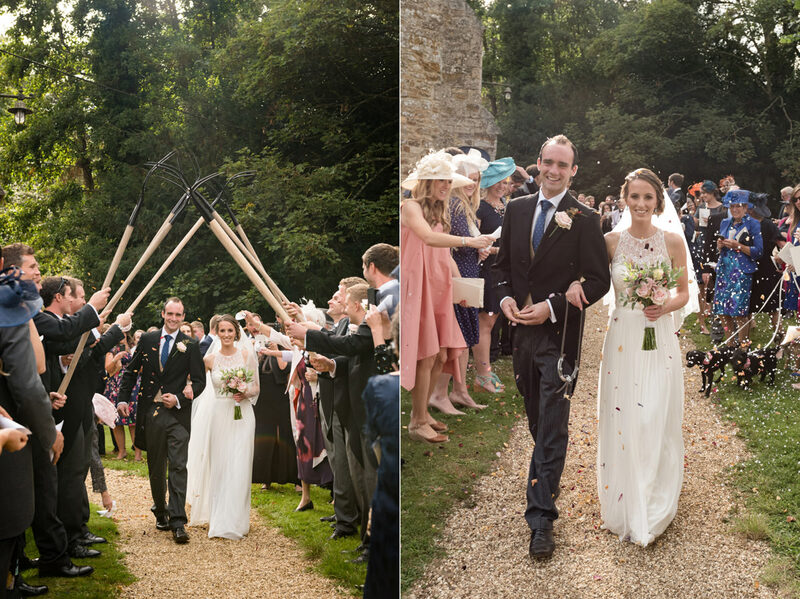 But most of all, Chippy and Hannah’s day was about having fun and being themselves. 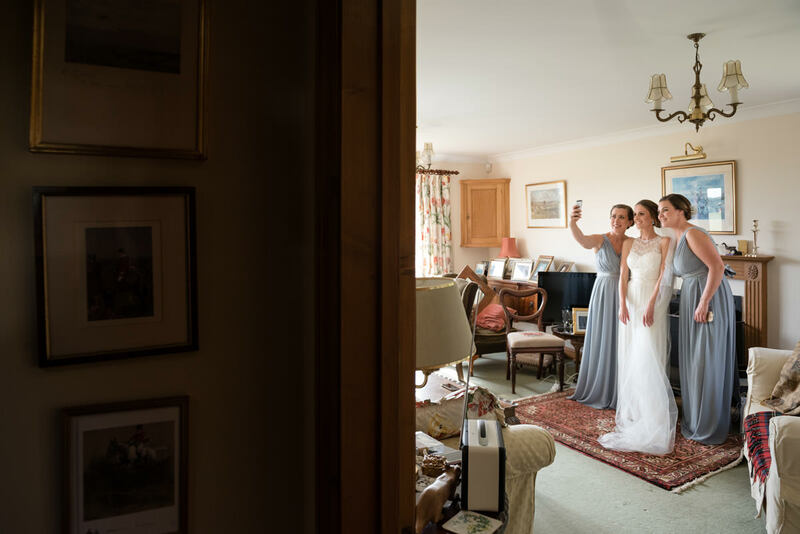 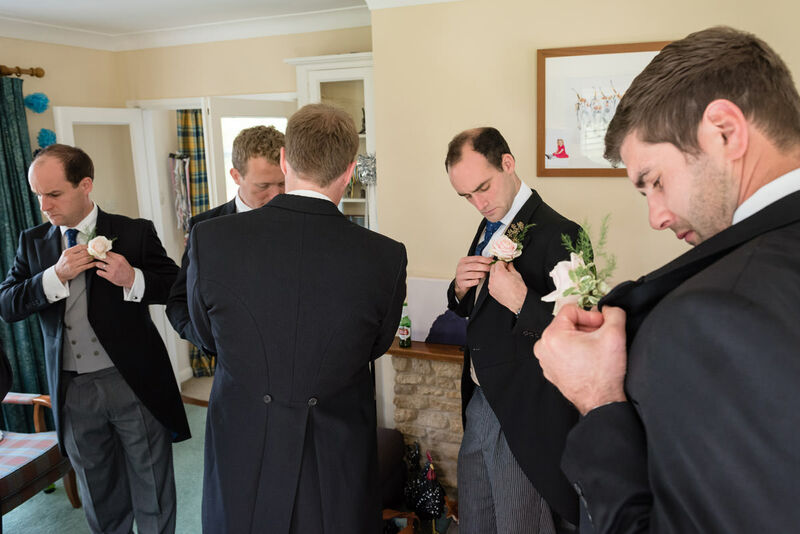 A low key approach to their wedding photography with the minimum amount of formality (right up my street!) 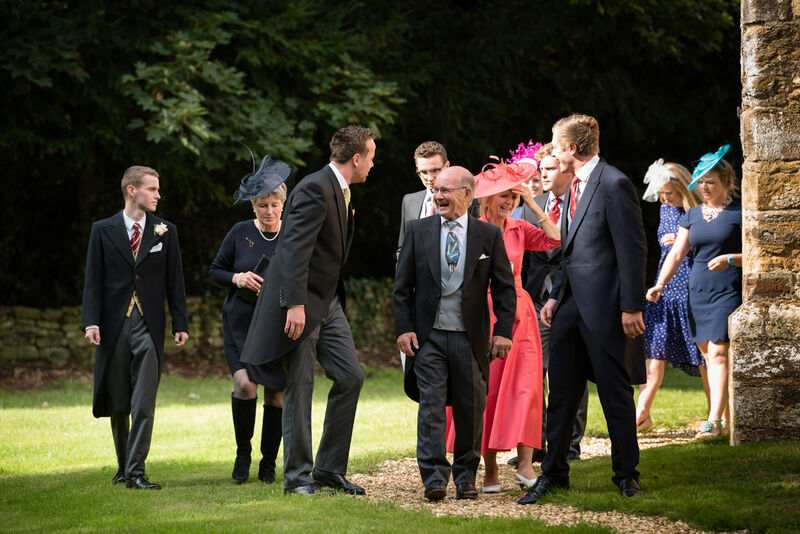 meant they had lots of time to be with their guests and enjoy the celebrations. 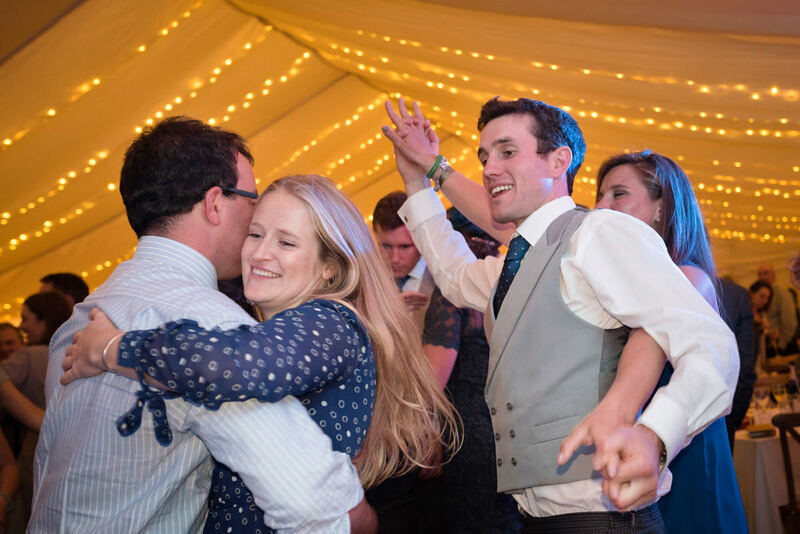 And frivolity was certainly in the air! 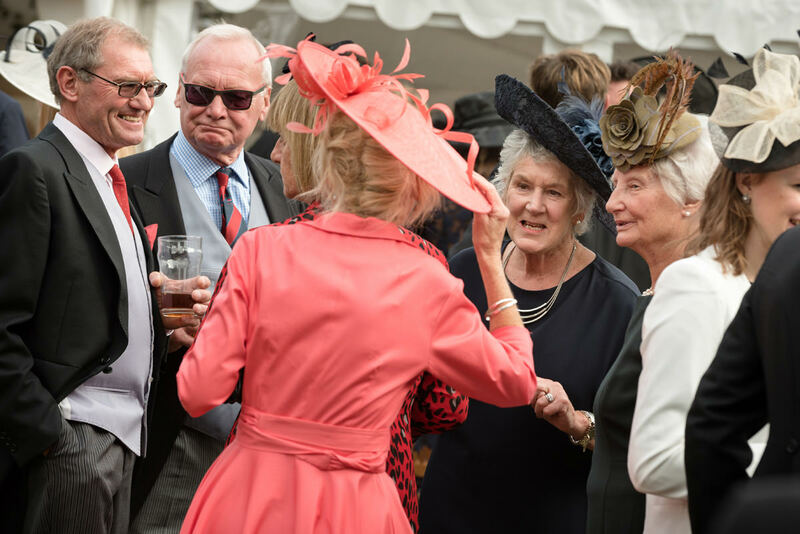 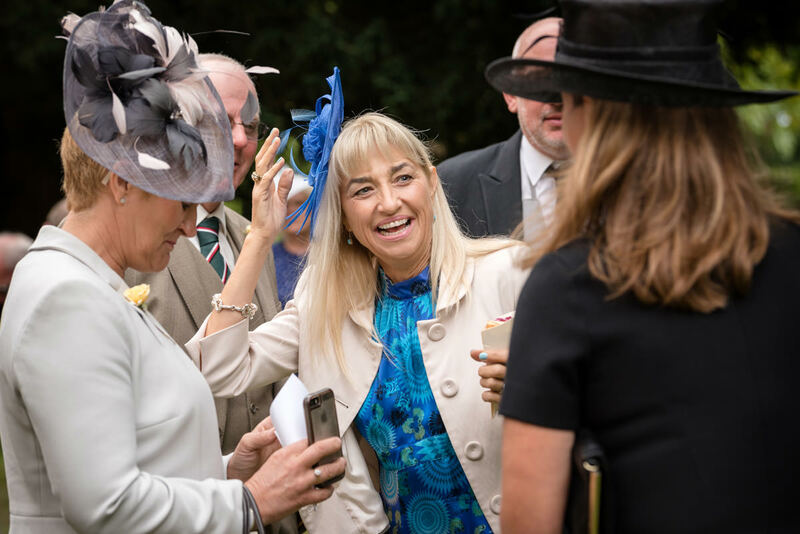 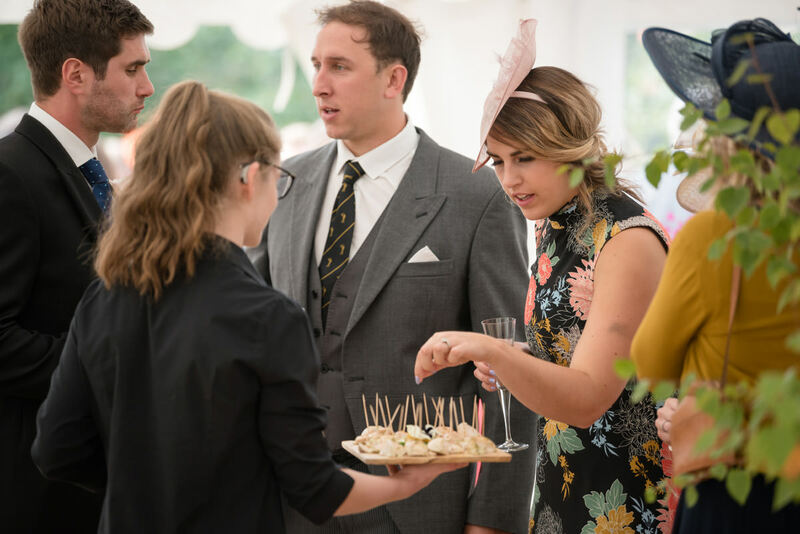 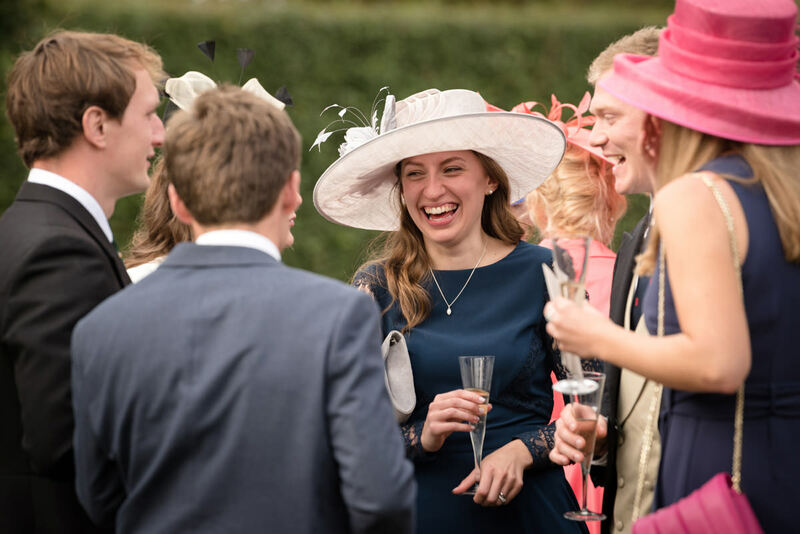 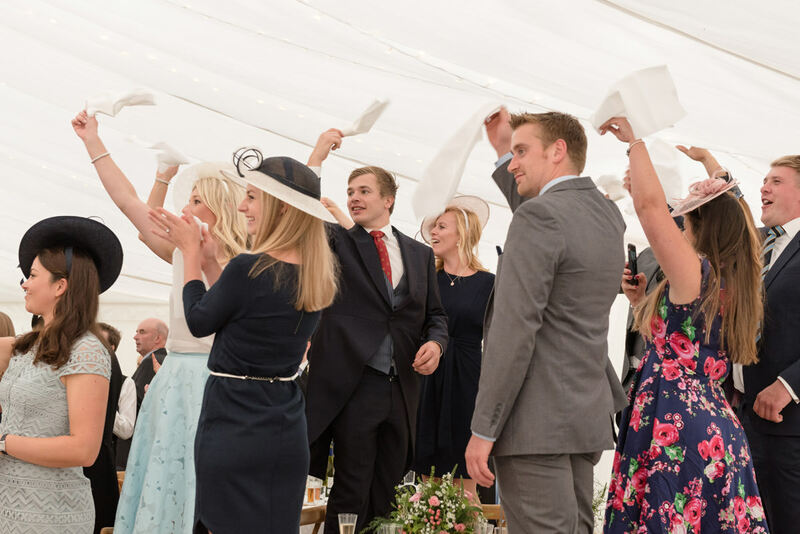 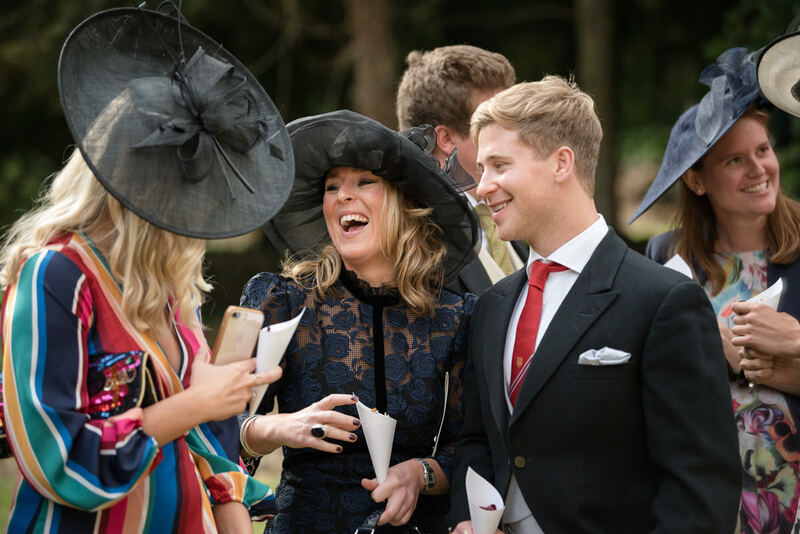 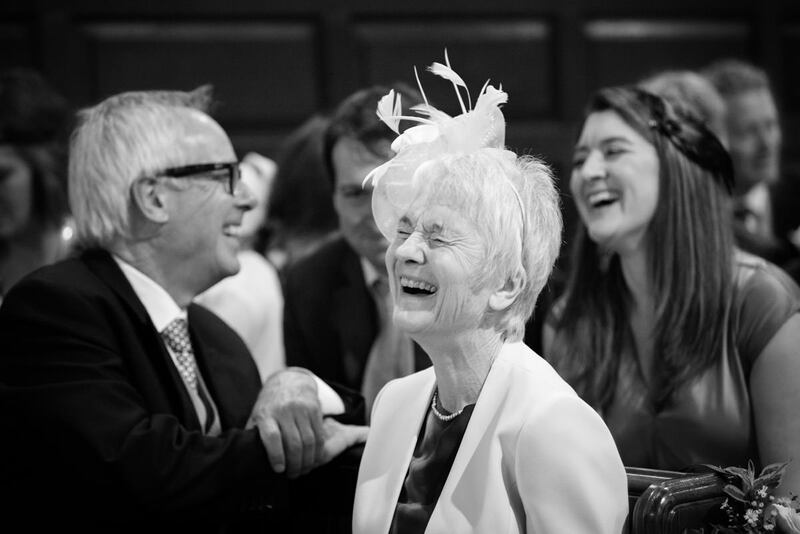 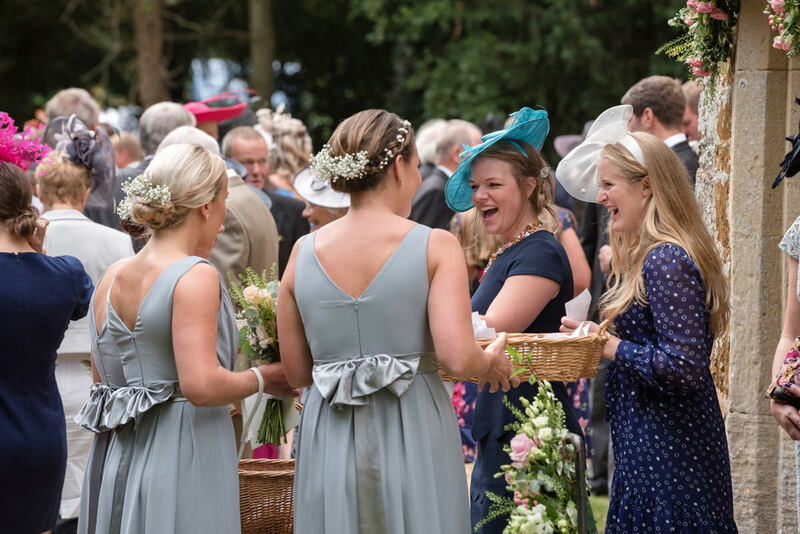 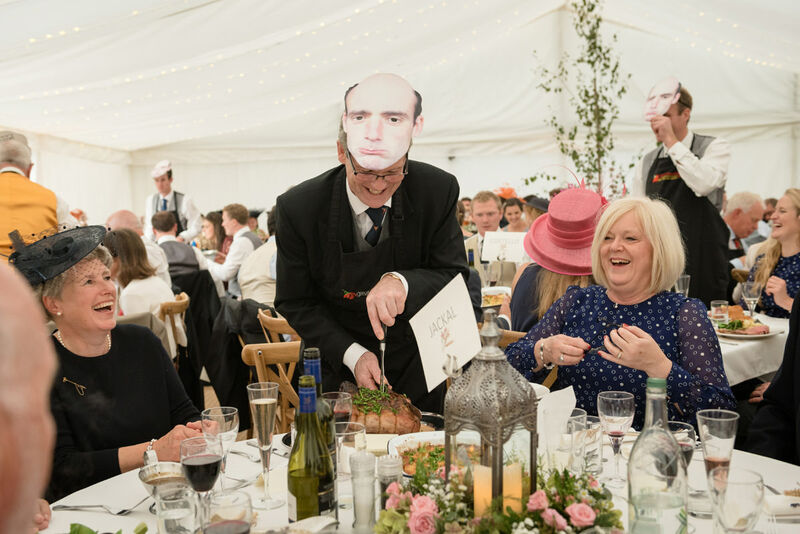 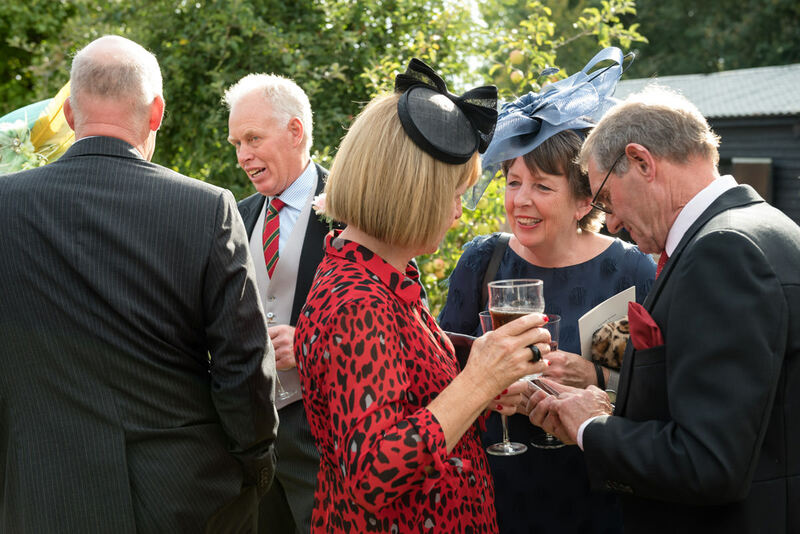 I was never far from a shot of someone laughing, the guests stood on their chairs waving napkins to greet Hannah and Chippy into dinner and nominated carvers donned chef’s hats to carve the meat for dinner! 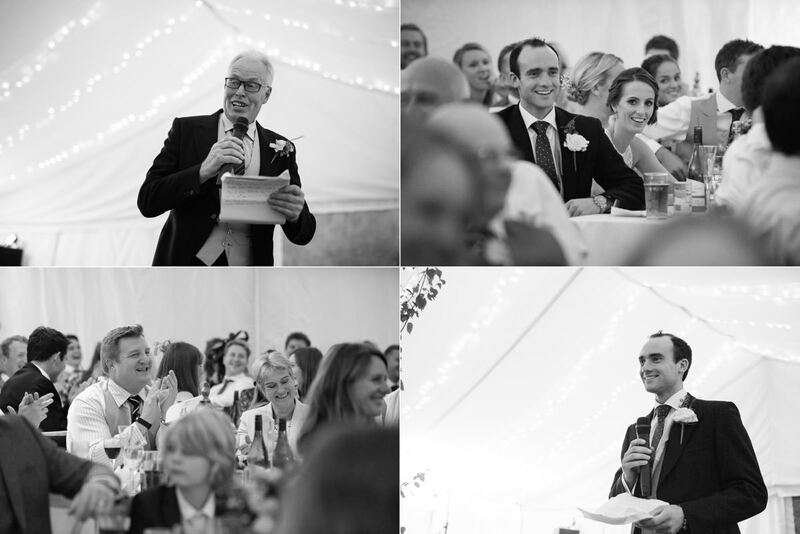 Then as night fell the speeches were made by candlelight and the dancing … what can I say apart from this lot were vying for top spot in best moves of the year?! 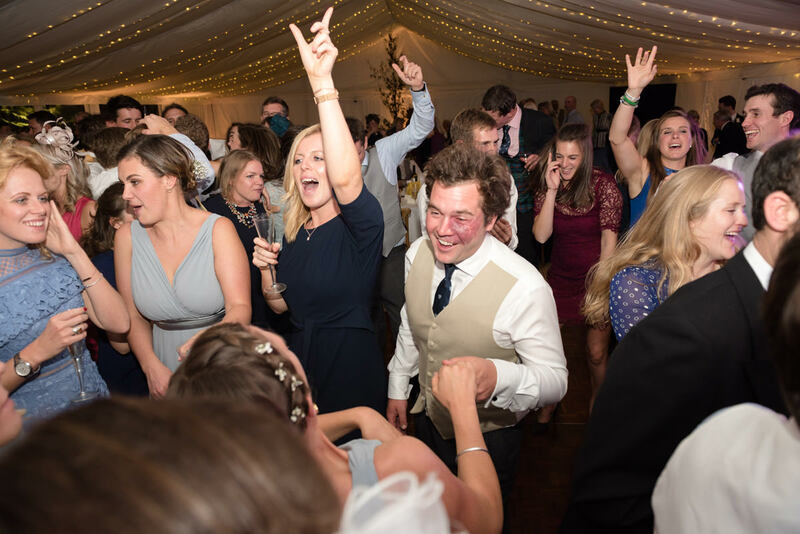 What great energy! 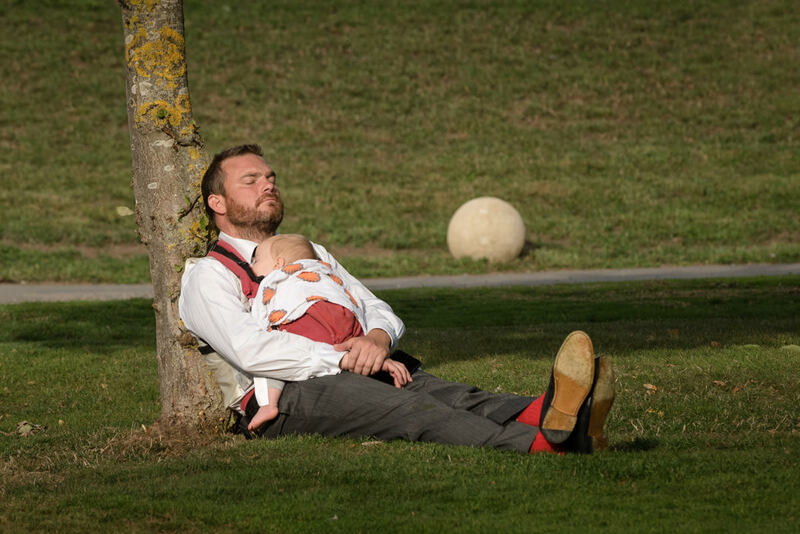 But that’s not all, folks! 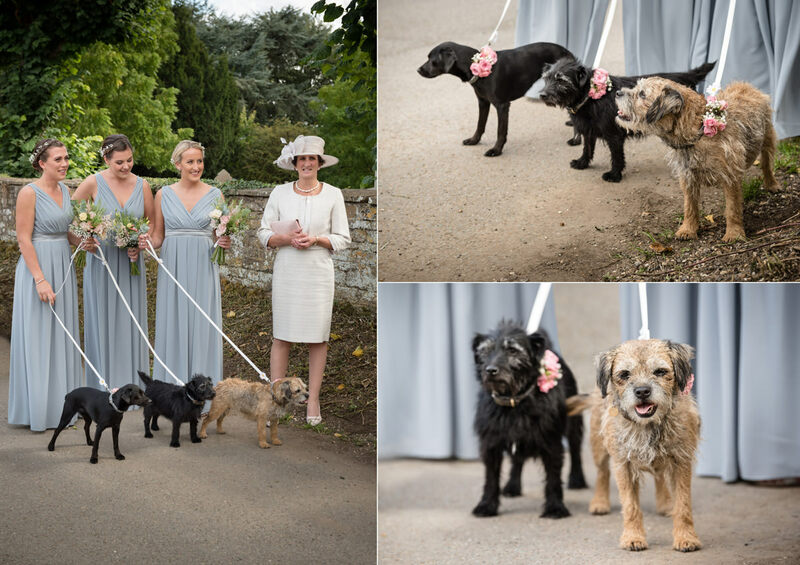 Three Patterdale Terrier dogs (Bunty, Zulu and Parsnip!) 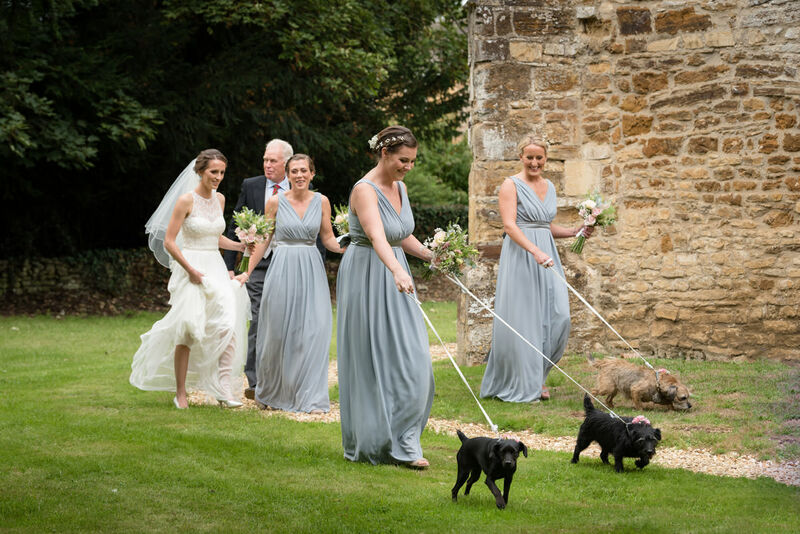 were flower girls and walked up the aisle with Hannah! 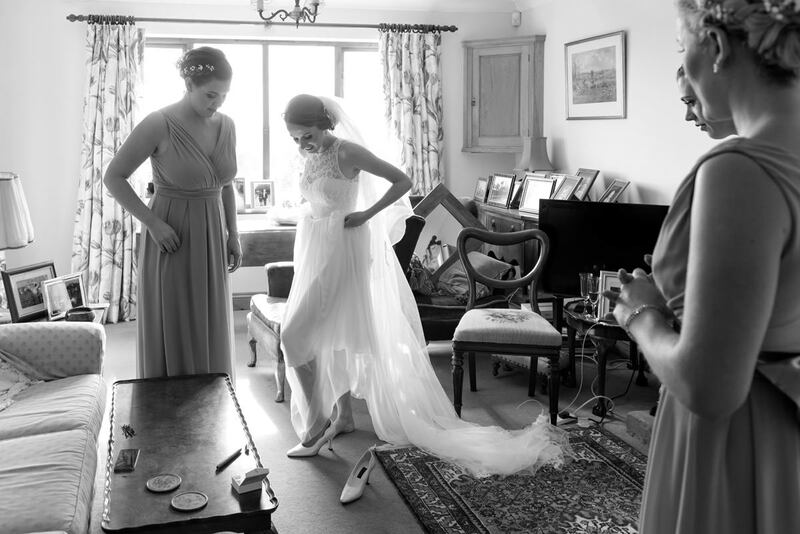 Anyone who knows me will know how much I loved photographing that! 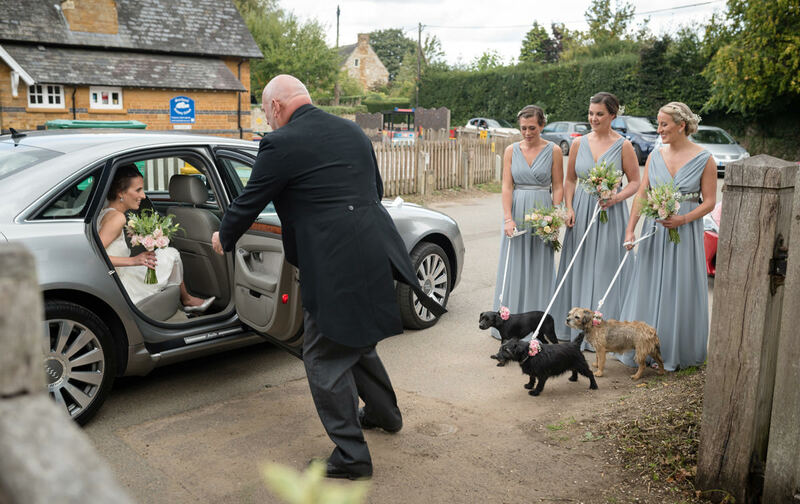 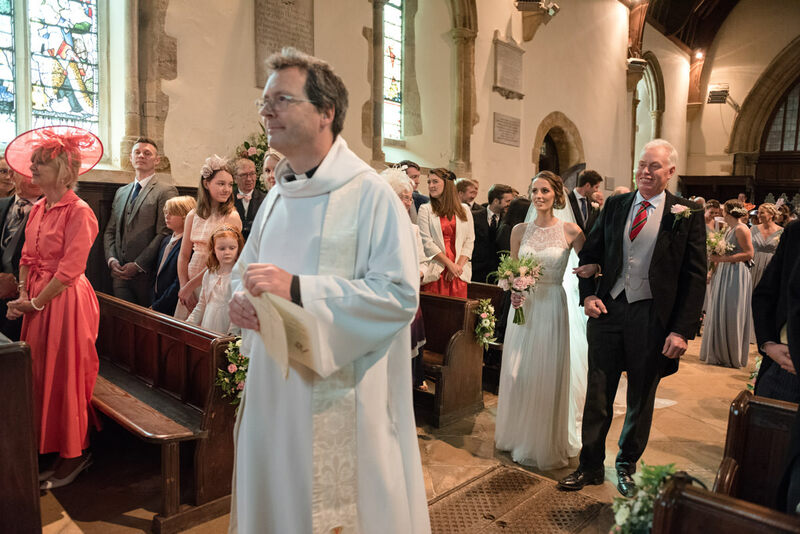 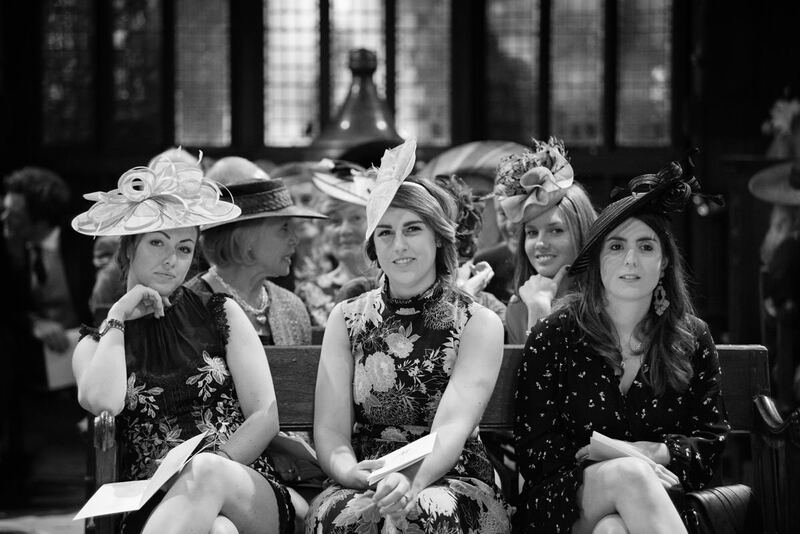 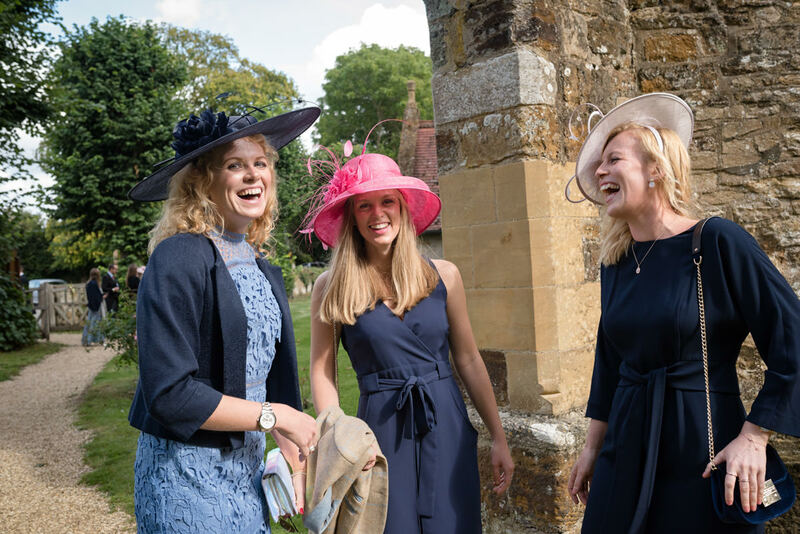 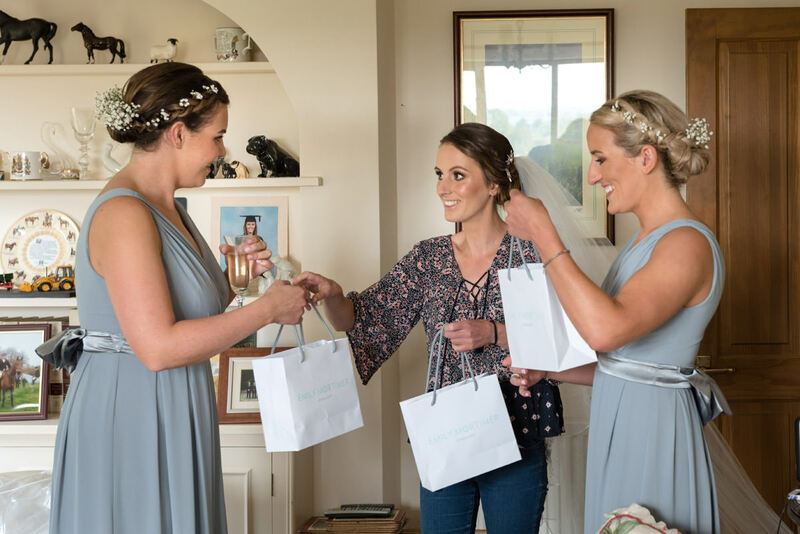 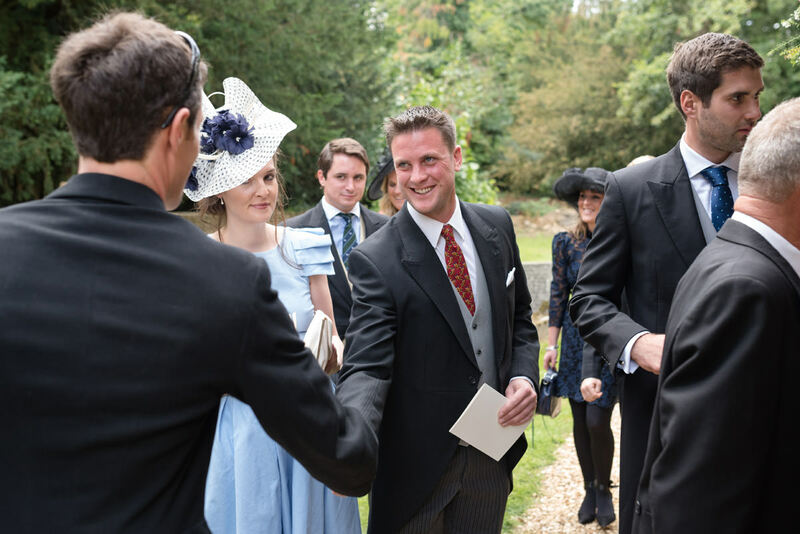 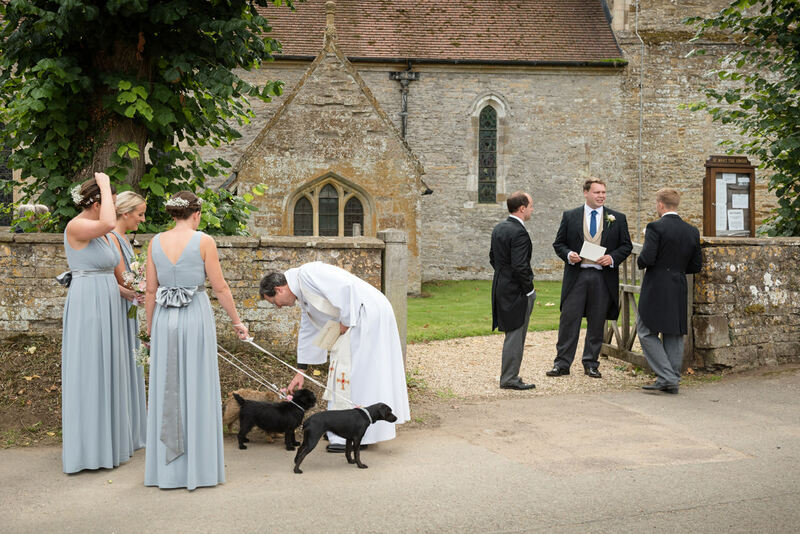 It was like a scene from Crufts as the three of them stood inline with the bridesmaids waiting for Hannah to arrive at church! 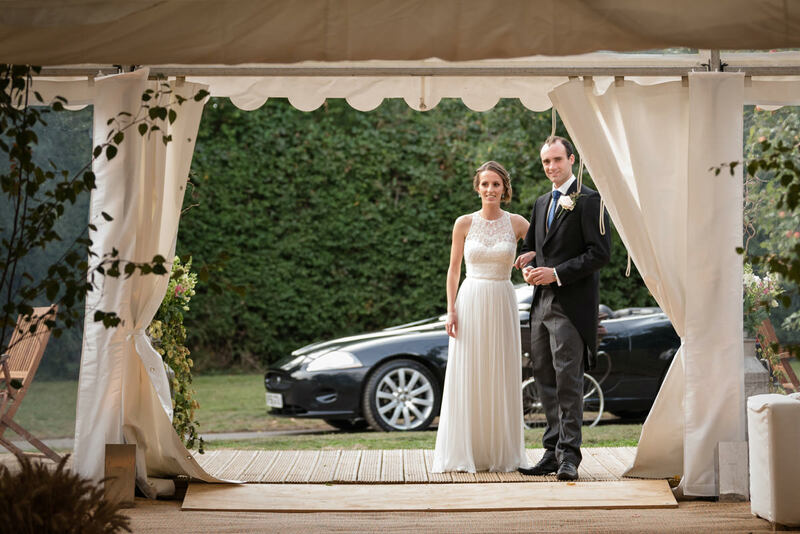 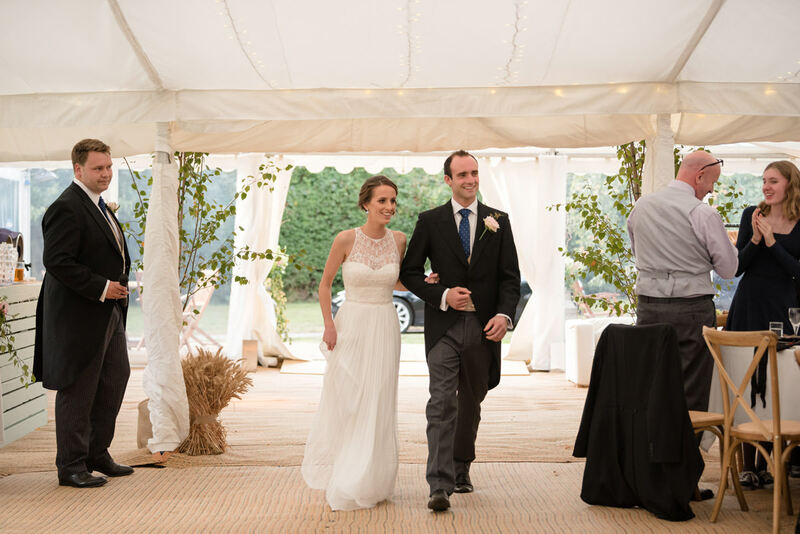 Are you planning a marquee wedding? 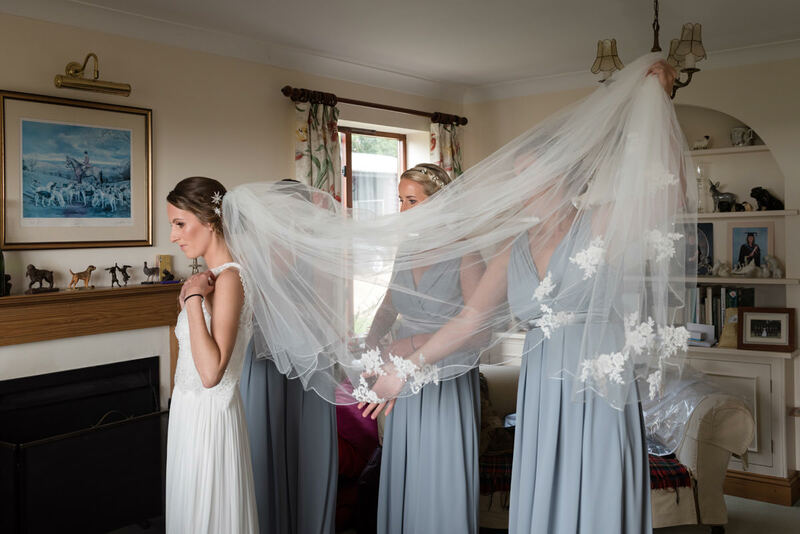 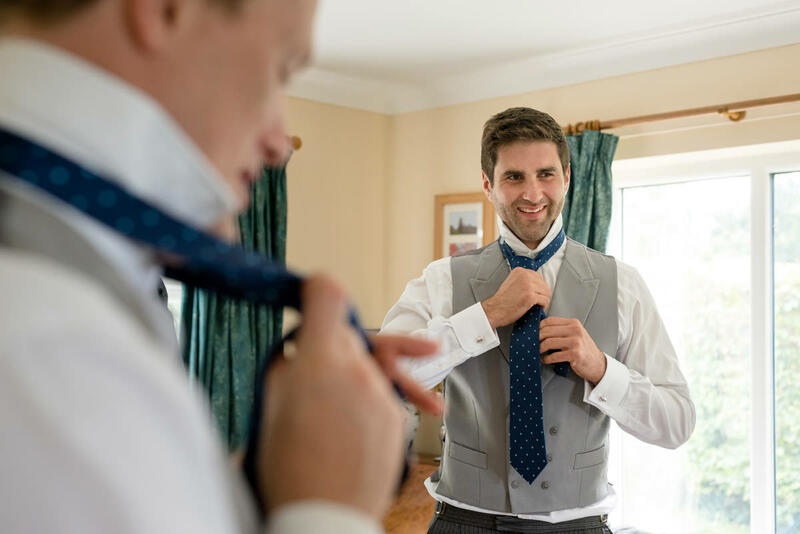 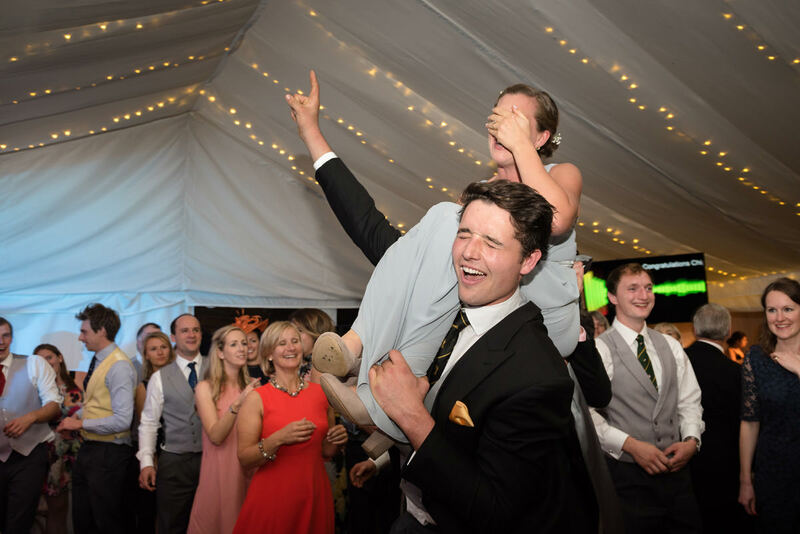 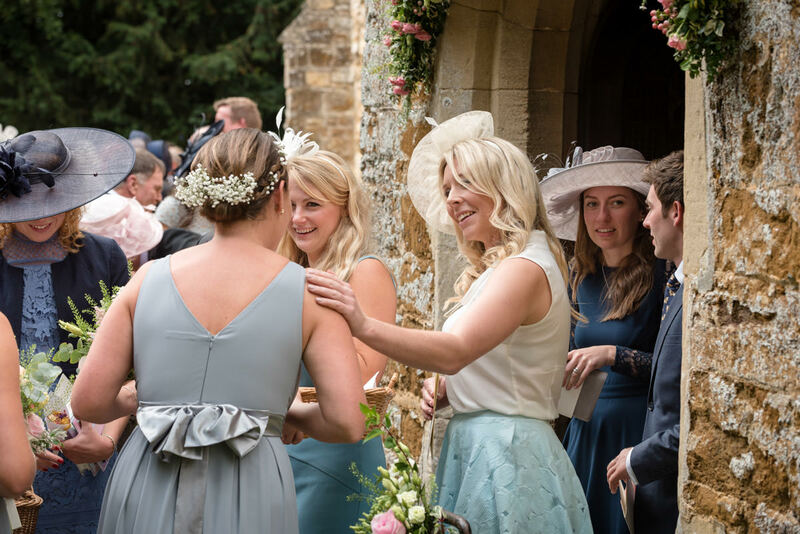 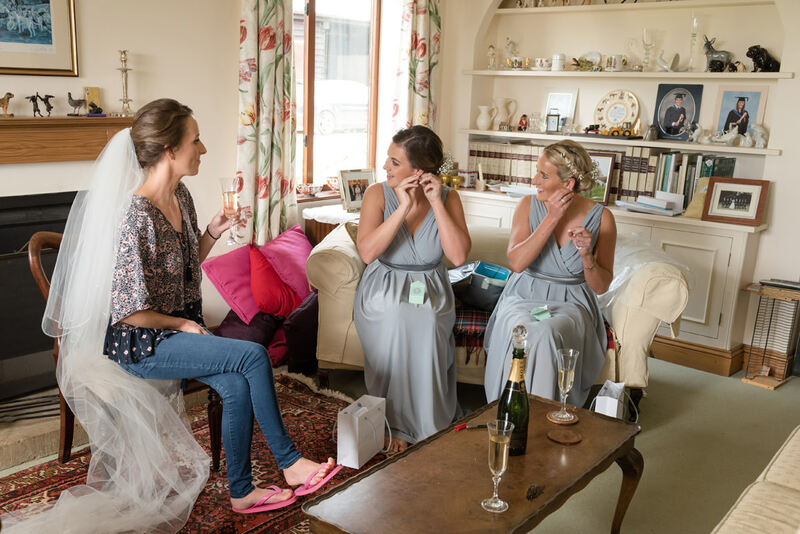 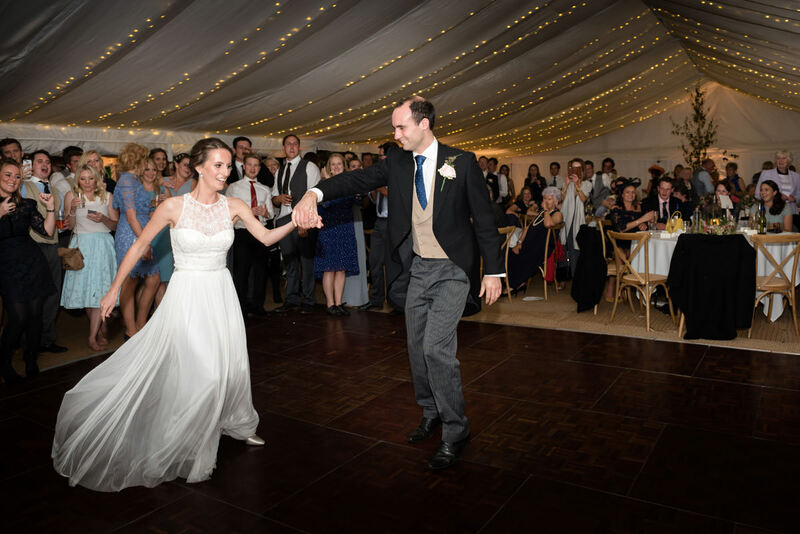 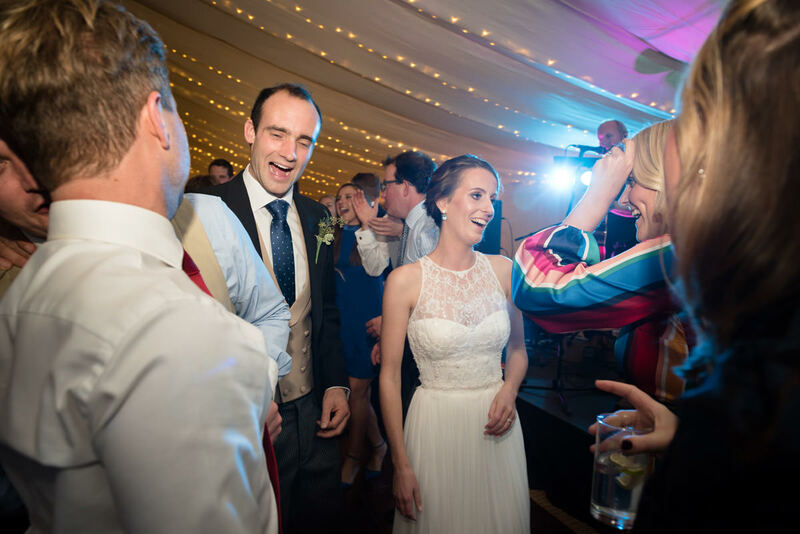 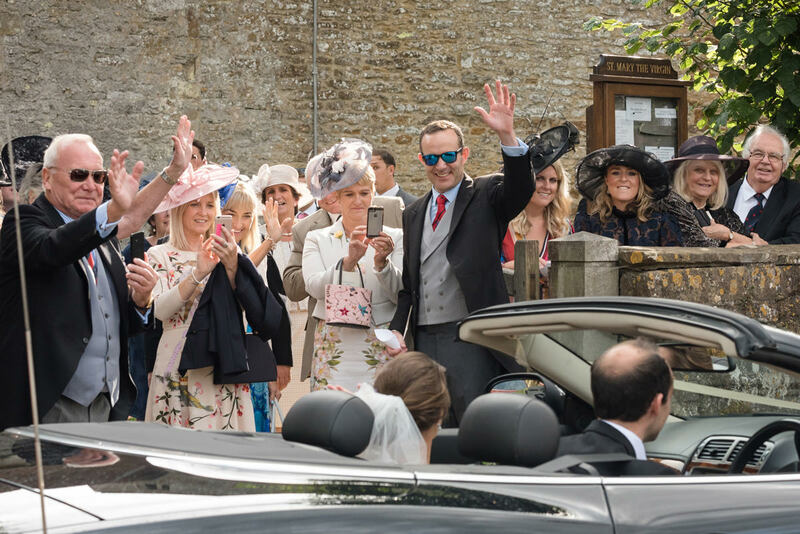 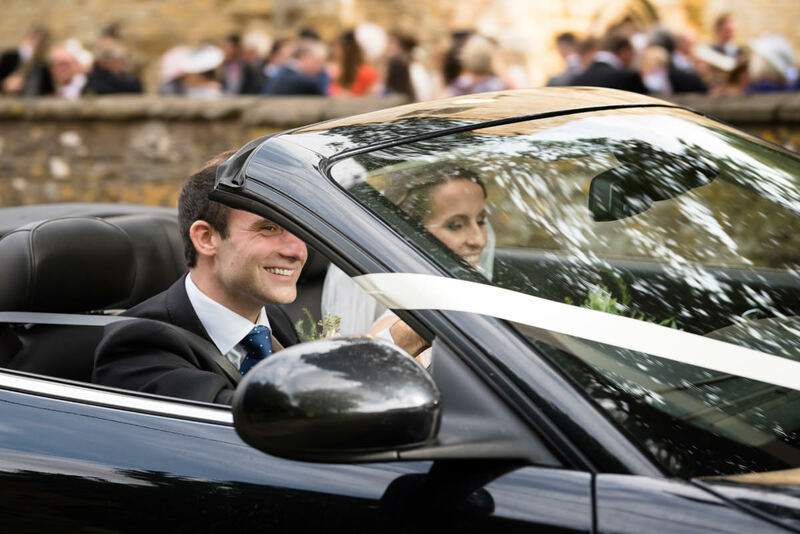 Well, it just so happens I know someone who loves to photograph a marquee wedding ;) Whether you’re getting married in Northamptonshire or further afield, I’d love to chat to you about it so please get in touch if you like what you see. 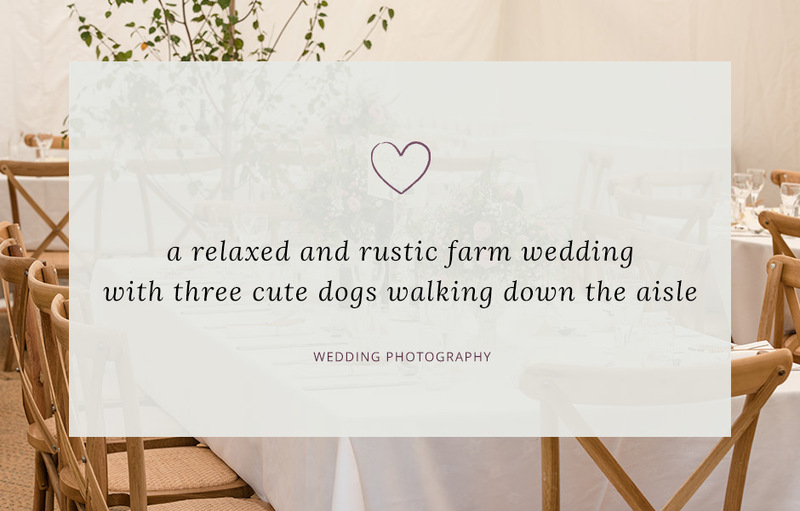 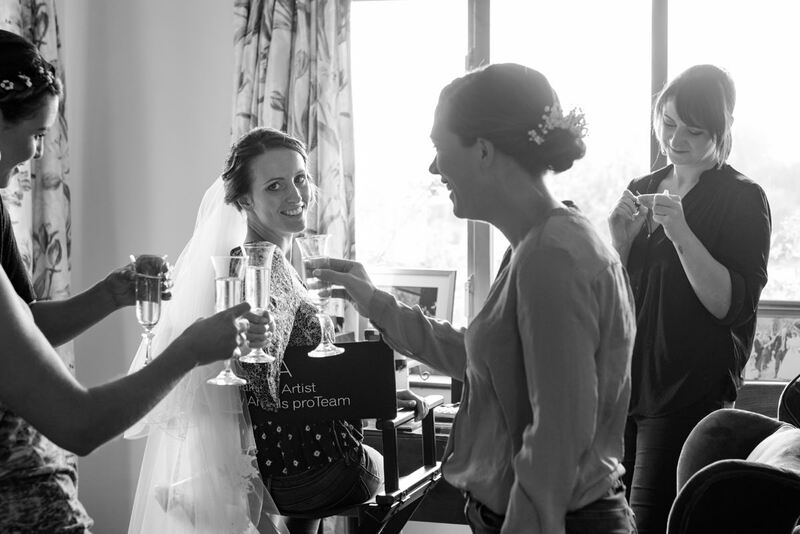 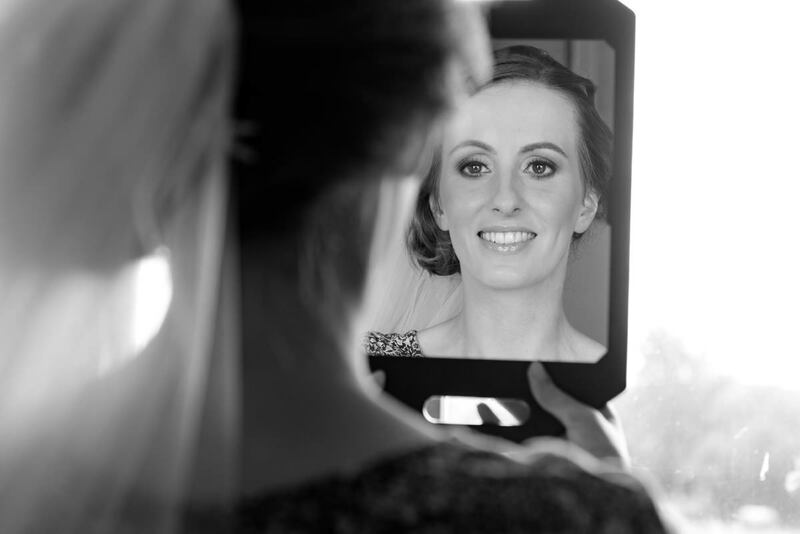 In the meantime, you might like to read some reviews and have a look at some other marquee weddings I’ve photographed.